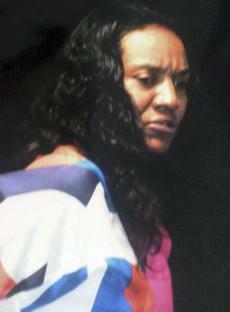 *The Miami police department has released video of LeBron James’ mother, Gloria James’ arrest on Thursday. The video was taken as the mother of the Miami Heat superstar was booked for allegedly slapping a hotel parking valet who took too long to get her car. In the words of Suge Avery: You SHO is ugly! LOL! Lebron looks so much like her, she cannot deny that he is her son. Could not agree more LOL she is already ugly she sho don’t need to be actin ugly!!!! LOL!!!!! Flame away. You know I am telling the truth. see? that’s why I drink home alone.